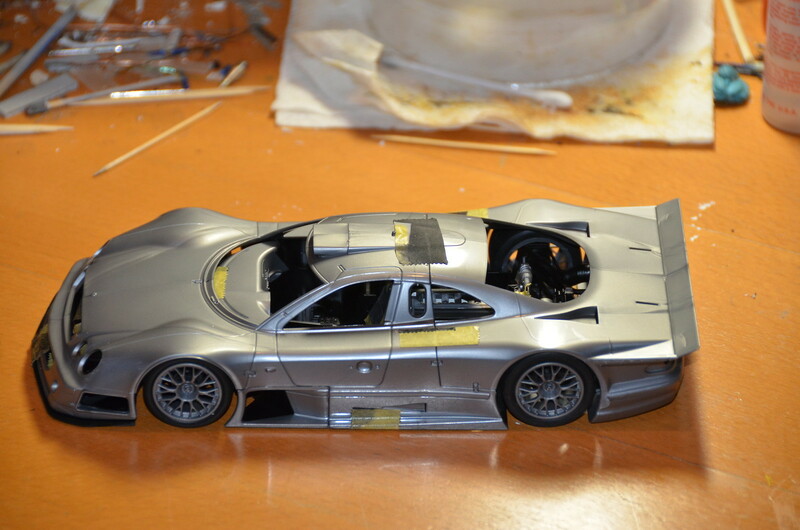 Continued on CLK-GTR build. 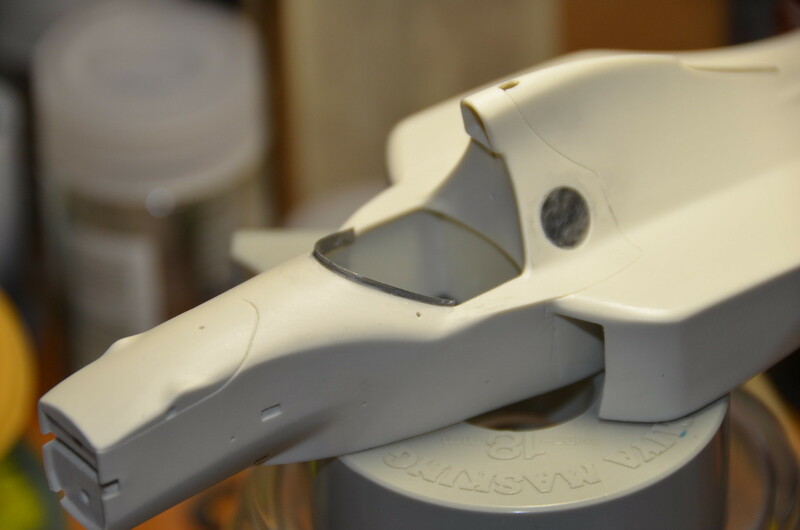 Glued together body, floor and exhaust parts before putty work on seams can start. 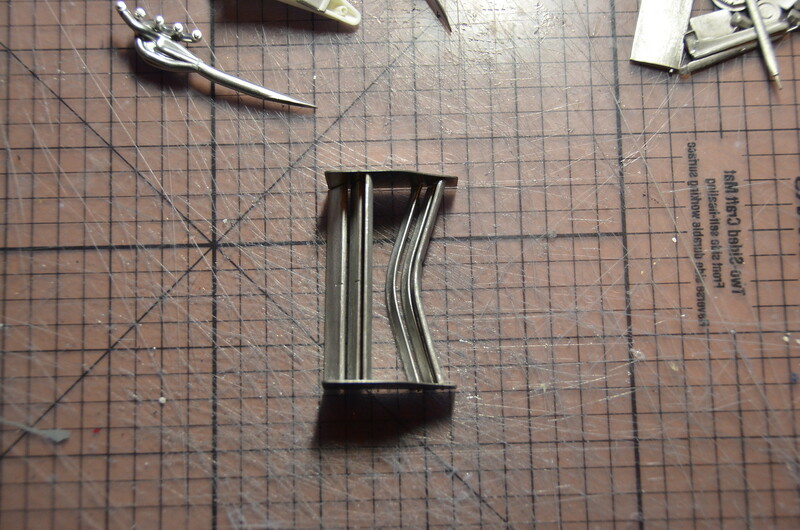 Test fit mock up assembly is completed to the extent I feel is needed for Tamiya kit. From past experience, I don't expect any future issues with suspension alignment and fit of other parts. 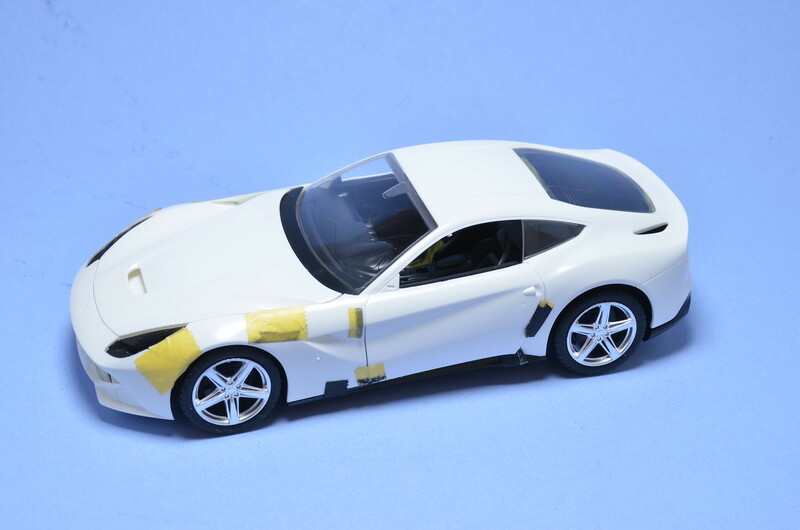 At present body is just seating on the wheels. Next surface preparation work will commence. At the time I was building F1-GTR race car from FIA GT 1997 championship, I've conceived an idea of building another FIA GT racer from same year. 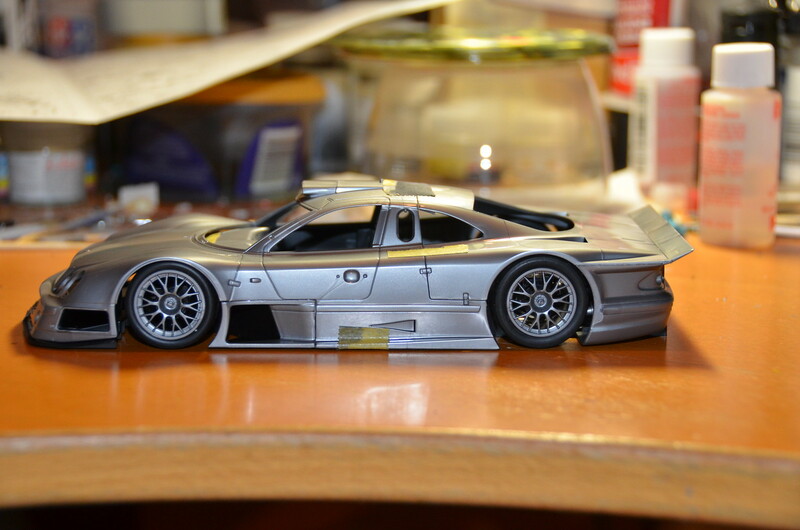 I've always liked Mercedes CLK-GTR car and Tamiya kit is a fantastic base. So. 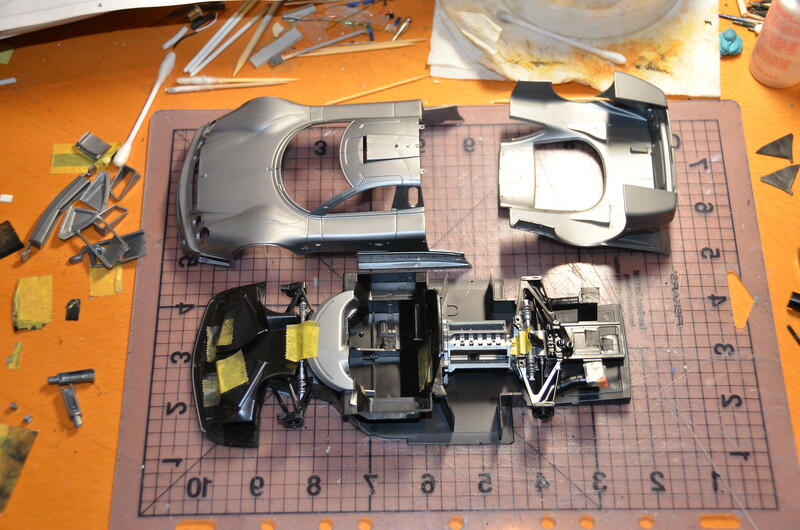 while some of my Formula1 builds take a back seat, I've started CLK-GTR model build. Plan is to build it OOB, may be only using Studio27 PE set for some extra details. I have not firmly decided which livery I will build yet. I have 3 kits in total. One I want to build fully detailed in either 1998 livery or as 1997 champion D2 livered car. That means for this OOB build I will likely do car #10, which had it's own unique livery. 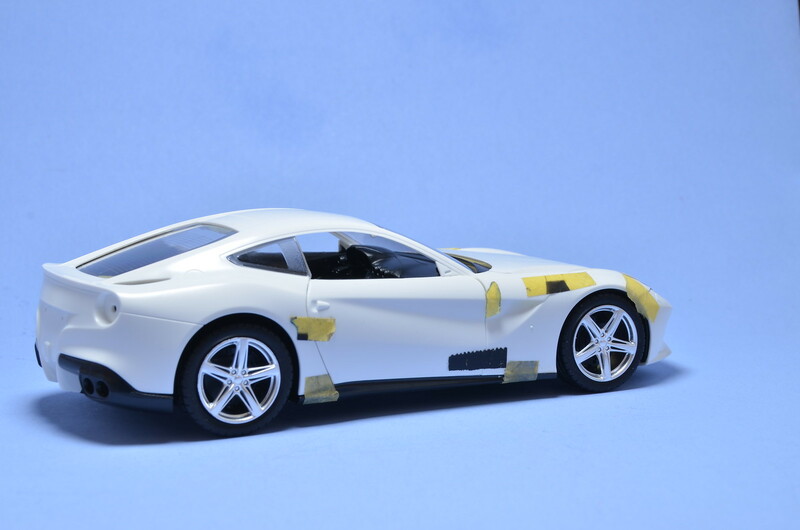 If I had decals, I would have built Sportswear car, but decals are missing in my copy of that kit. Haven't done a lot on it so far. Just separated most of the parts from trees, cleaned them up and started test fit assembly. Next I will glue together parts, for which seams will have to be filled and use epoxy putty to fill some big empty cavities, Tamiya left in exhausts and canisters. 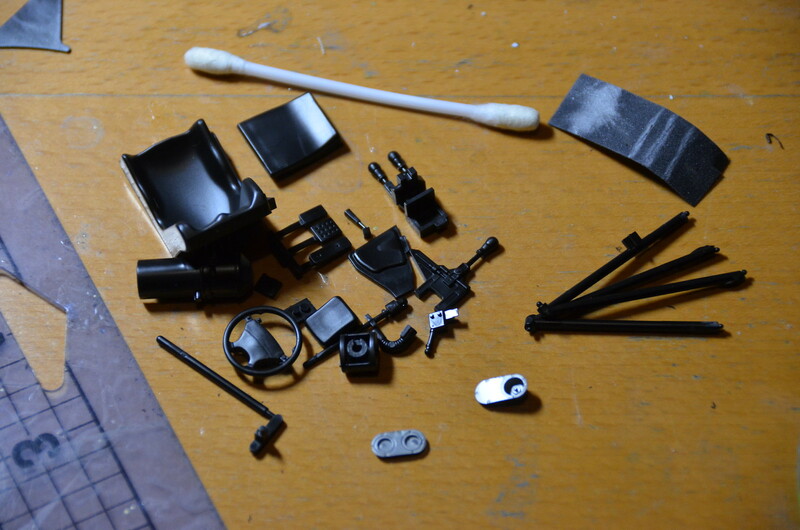 Then parts will be off to priming. Started a new build. It is going to be my first street car build. So, new venue and new adventure for me. Spent two nights so far, exclusively dedicated to F12. Detached and cleaned most of the parts from trees and did my typical test fit assembly. Overall fit is fine, not as perfect as in Tamyia kits, but still pretty good. 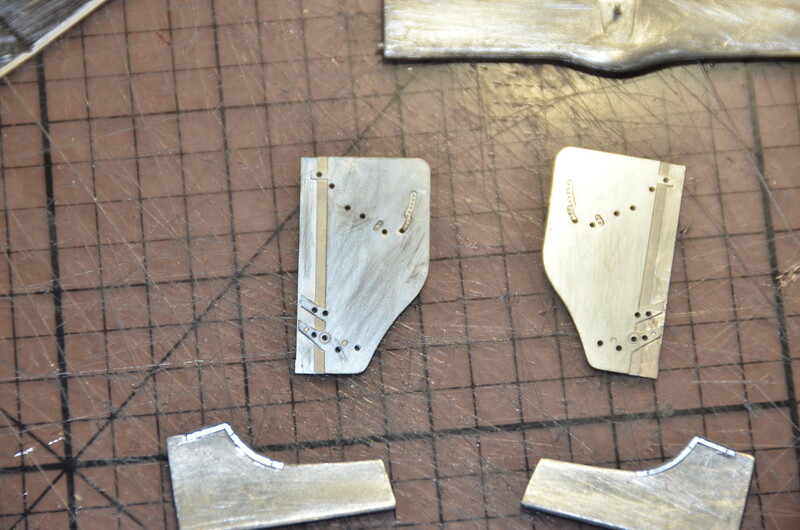 Parts layout and split is reasonable with exception of seats and some other interior trim parts. Many are molded together. Painting of them will be a challenge and might stall progress at some point, as I hate cockpit/interior detailing regardless. 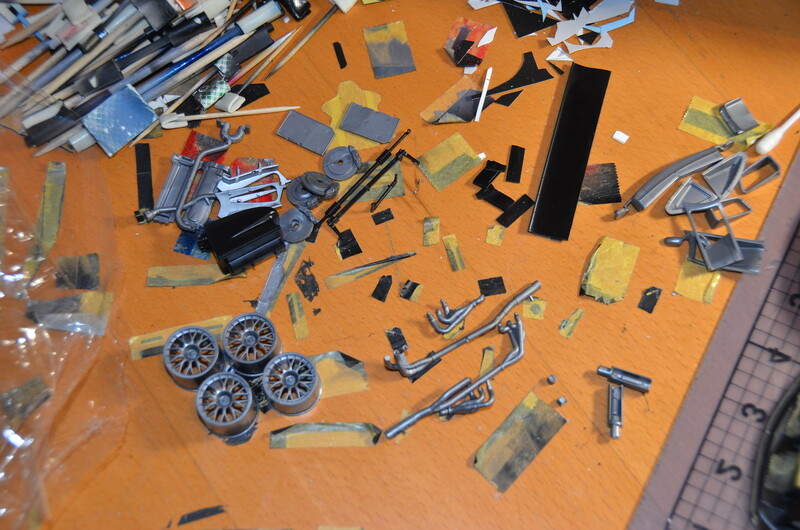 In fact some of my (almost) finished F1 models, still have not yet detailed steering wheels. I love the shape of this car. Don't know what it is, but it inspires me. 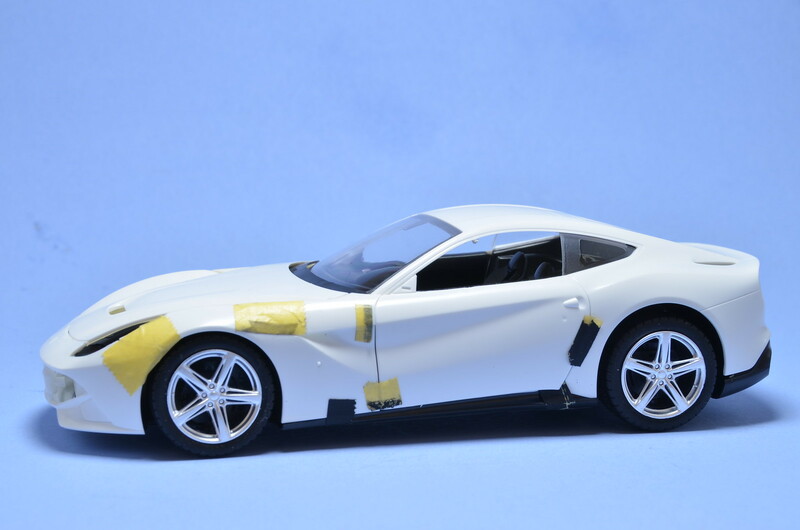 599xx was one that inspired me at some point, but I didn't start a resin APM kit, I've got. 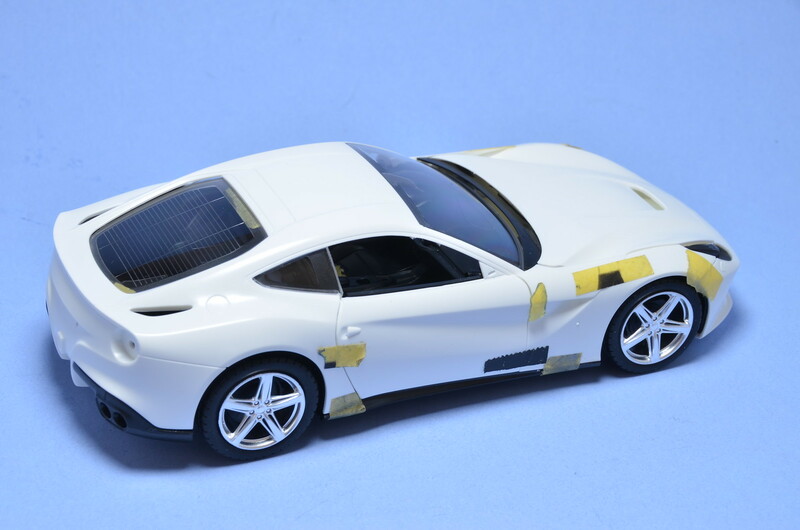 Plastic F12 kit is easy to start and progress in contrast. 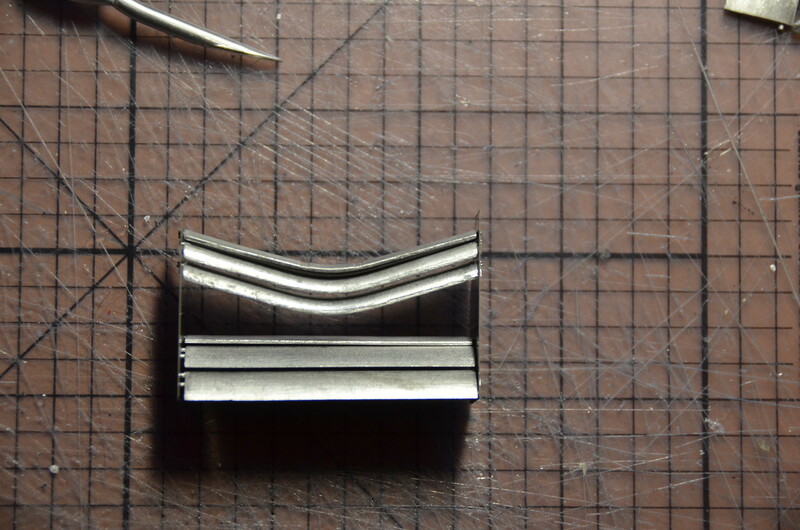 Here are first photos of mock up test assmebly. Not a big update. Stuck in test fit/preparation cycle. Longest part of builds for me. Continued with PE assemblies and part preparations. 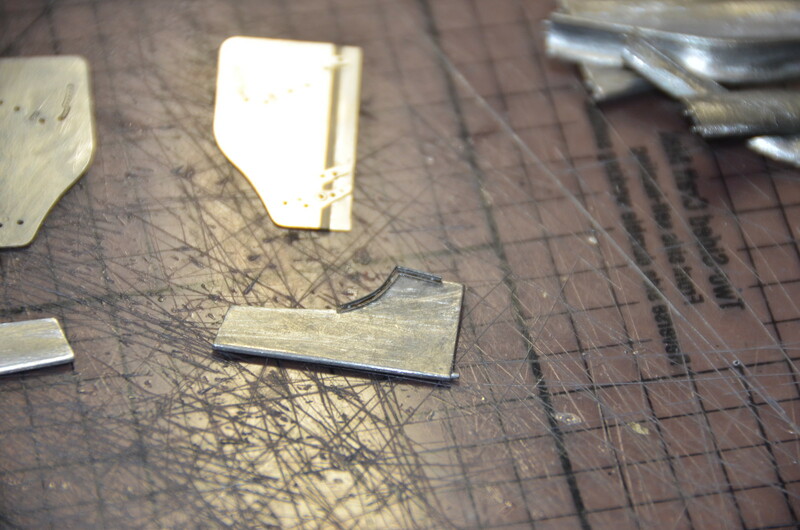 Rear wing contains 6 horizontal planes in addition to 2 end plates. No idea at present on how I'm going to put it all together. 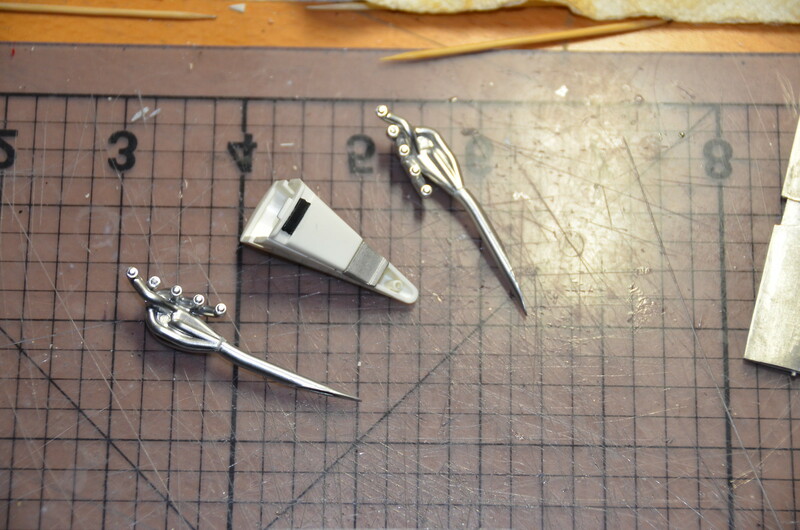 Some kind of elaborate jig will be required. More work ahead and my pace is slow. So, don't hold your breath before next update finally arrives.